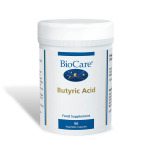 Good nutrition is essential to building and maintaining strong bones. A healthy diet that includes foods rich in calcium and other bone-building nutrients, such as dairy foods, can make a big difference to our bone health. 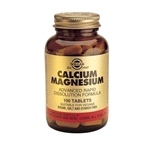 Calcium is the main component for bones. Bones act as a storage bank for calcium - when dietary intake of calcium is too low, the body takes calcium from the bones to use for other important functions in the body. 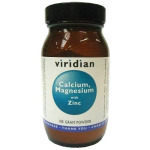 The body loses calcium daily through shed skin, hair and nails, sweat, urine and losses from the stomach and intestines. 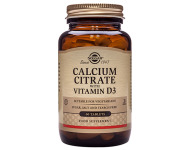 Vitamin D - helps absorb calcium from the foods and drinks we consume. Protein - helps build bone. 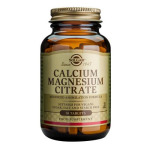 Phosphorus - essential for the formation and maintenance of strong bones. Potassium - helps to make bones stronger. 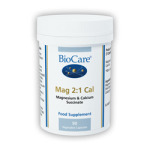 Magnesium - helps to control calcium levels in bone. 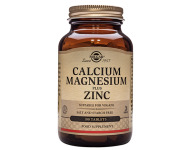 Zinc - plays a role in the regulation of bone turnover. Calc Phos No. 2 ( 240 Tablets ) For Constituent of bones and teeth. Indigestion, teething problems, chilblains. 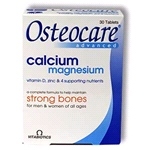 Osteocare (30 tabs) - maintaining the strength and integrity of bones. 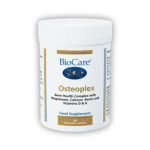 Osteocare (90 tabs) - maintaining the strength and integrity of bones.